Once again it was the time of the year to listen to “Born Free” on the hill down into Gmund but sadly not for the traditional mayday friendly against Tegernsee as the fixture had been changed into a league match because the Hirschanger is closed for maintenance work. 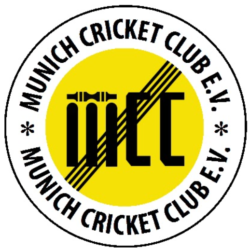 This makes it a first in any cricket in Germany as MCC had to field two league teams in the same division to play on the same day in venues almost two hundred miles apart. MCC were all present and correct ready for the 12:30 start, captain Blades duly lost the toss and we were asked to bat which he would have chosen to do anyway. Openers O’Meagher and Bhalerao batted steadily at around three runs per over against some tricky bowling but both went in quick succession with the score on 15, as did number three, Algar, who took a golden one to challenge Michahelles in the duck race. Furlonger also joined the race in the next over with the score on 16 and things were looking a little gloomy. A splendid alliteration in C partnership of 10 runs followed between Clare and Carr – playing in his first league match for a considerable while – before Carr went for 2 off 17 balls with Clare joining him in the next over trying for his favourite shot and playing some 30 minutes too early and going for 5 off 21 balls. At 26 for 6 MCC were just about up the proverbial without a paddle but the South Coast Mafia were now at the crease and stayed together for almost an hour putting on a magnificent 55 runs for the 7th wicket. L’Oiseau Grand was shot down for 18 in the 27th over and El Capo went for 22 in the 29th. Blades tried desperately to get run out but was eventually bowled for 2 with the score on 92 for 9 down. Sestan faced a wide and a dot ball and Arunachalam made a good aggressive 12 from 15 balls before falling leg before in the 31st over leaving MCC on 99 all out. Tegernsee openers, Bäckstädt and Gowda faced up to the wrath of Blades and Clare, but not for long. Clare’s first over was a double wicket maiden and Tegernsee were 2 for 2 after 2. The partnership of Govender and Bäckstädt was lucky to last as long as it did, as Govender in particular seemed intent on smashing every ball to the boundary. However, Bäckstädt was the next to fall, rather hilariously charging Blades and yorking himself leaving Tegernsee at 7 for 3 in the 5th over. Partnerships of 10 for the 4th and 14 for the 5th wickets took them to 31 for 5 in the 12th over. On a direct comparison they still had a 5 run and single wicket advantage over MCC but did not have a South Coast Mafia pair. Continuing very tight bowling meant that they were all out for 50 runs in the 27th over. The BCV had provided two respected umpires, Ravi and Milan which was just as well for this was the first time that the umpire’s assessment sheet with such assenine questions as “were you satisfied with the umpire’s LBW decisions” was to be completed. At the boisterous team tactics talk in the beer garden the South Coast Mafia threateningly put their case for opening the batting on the next league match before all retired to the local curry house. 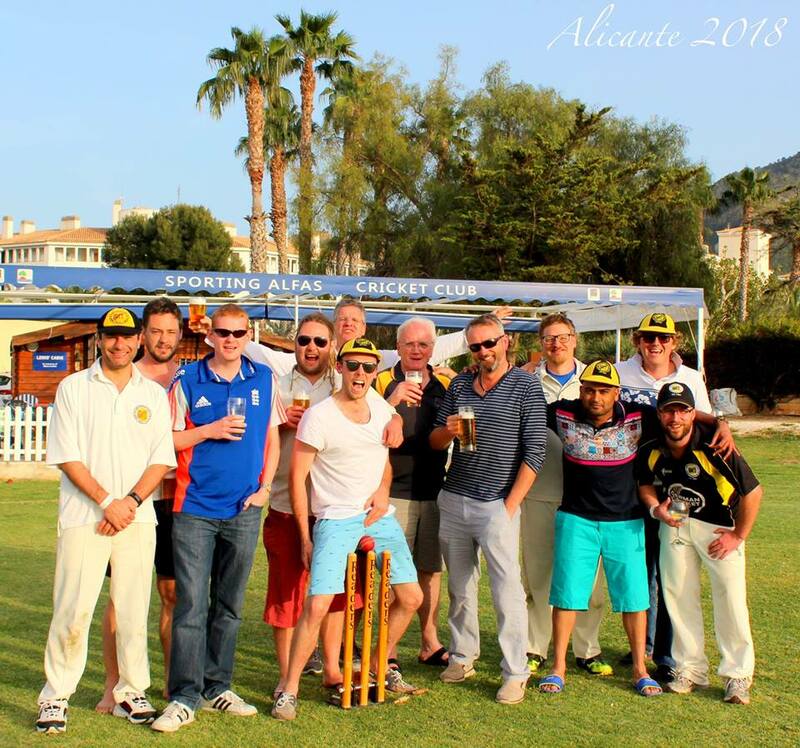 MCC, 99 for 10 beat Tegernsee, 50 for 10 by 49 runs.